We ensure you that the learning experience at UVAS will be great and rewarding. The B.S (Hons). 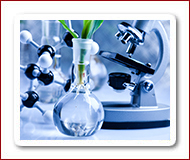 Biological Sciences is a four year internationally recognized degree program. Biological Sciences is an exciting and rapidly developing subject area.This program enables the students to master the concepts and principles of biological sciences.We are committed to provide students with a broad exposure to biological processes and systems and a deep understanding of biology at environmental, organism, cellular, and molecular level. It is a multidisciplinary degree program initiated by Dean FBS. The faculty will pool all the resources to run this degree program. The career prospects are bright for someone trained in life sciences.the programs also include lectures and small group tutorials and you will use an online learning site to support your studies. Your assessments will include a combination of examination, coursework, practical work, tutorial work and presentations. Many courses have in course test and all courses have final examination.